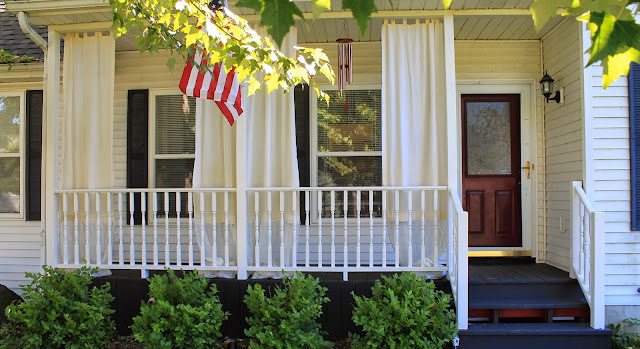 Part of my Front Porch Makeover project was adding outdoor curtains. I love how cozy and inviting they make the porch feel! I just can't bring myself to take them down for the winter just yet. To keep the project as inexpensive as possible, I made my own curtain rods. I found the design idea online and recruited the help of the SSL Family Dad to help me decide which material to use for the rods. 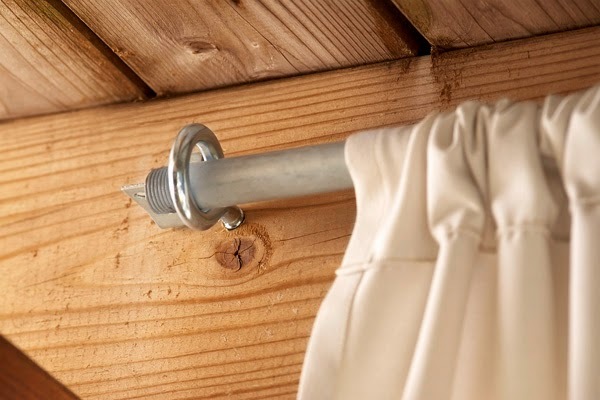 The concept is super simple, but there are a few tricks to making and installing the rods and hardware. Here is the inspiration photo that pretty much explains it all. 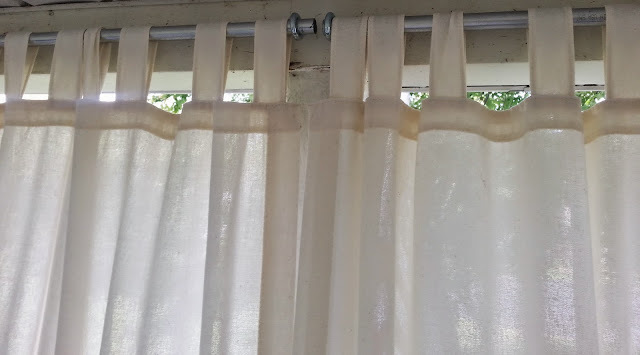 The curtain rods are 1/2" electrical conduit that we picked up from Home Depot. The hardware is eye hooks that are just big enough for the conduit rods to pass through. Here is my video that explains the process in further detail.